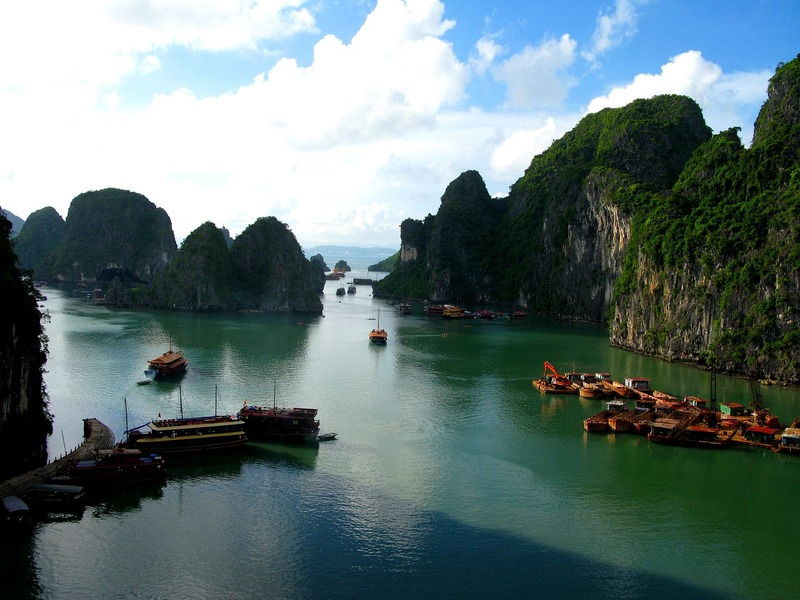 Visiting Vietnam’s top touring destination, Ha Long Bay. The literally named Descending Dragon Bay lies in Ha Long Bay in the northeastern province of Quảng Ninh, Vietnam. This UNESCO World Heritage Site provides an amazing visual and spiritual experience, featuring thousands of limestone karsts and islets in various sizes and shapes. A typical cruise includes snorkeling, kayaking and hiking. We explored the massive caves once used during the Vietnam War — a part of history that we got to experience from the perspective of the Vietnamese. For a North American family, the entire adventure provided an eye-opening excursion to another world. We visited the area via Paradise Cruises. The cruise is first class with an assortment of gourmet foods to suit every palate. It includes yoga on the top deck, gourmet cooking classes and a world-class spa. Travelers won’t feel crowded on board as the ship has a limited number of luxury cabins. 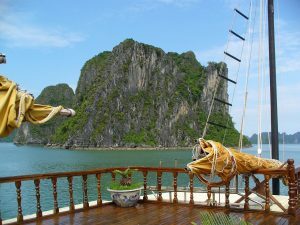 Ha Long Bay is as much a visual adventure as a physical journey. Getting to the area is a bit of an adventure, as the Vietnamese roads are very crowded and sometimes dangerous. We recommend you fly into Hanoi and hire a guide and driver for your journey. Our trip was arranged by Exotissimo Travel Vietnam (now EXO Travel).